Happy days are here as Nintendo has taken the wraps off its new Nintendo Switch console along with a whole host of games. 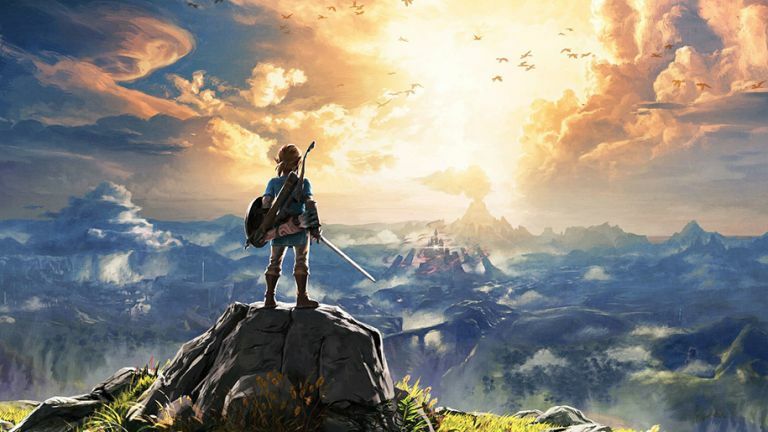 Most importantly the mighty Zelda: Breath of the Wild has been announced as due for release with the console in March. Over 80 games are in development and a whole bunch are due for release this year. These are the Nintendo Switch games you need to know about. Due for release with the console on 3 March the awesome Zelda will be leading the gaming charge. Expect cel shaded graphics, a new Link storyline and an open world to explore. Yes Super Mario Odyssey has been announced as an entirely new open world Mario game. Yes it'll let you take Mario into the "real world". Yes Peach and Bowser will be there to keep Mario on his toes. But sadly, no, it won't arrive at console launch. Super Mario Odyssey is due for a "Holiday 2017" release. Ink firing fun is coming to the Nintendo Switch in the form of Splatoon 2. This one is due out for a summer release. Thanks to the unique multiplayer offerings of the Joy-Con controllers you'll be able to play with friends even when on the move. An entirely new game designed specifically for the Switch console. This lets gamers use the controller movements to play. Using the Joy-Con controller you can swing a punch in real life and laugh as the extending arms of your character swing out in the game. This one is all about the multiplayer, or it will be when it arrives in the spring. Not much was given away about this Switch specific title. It'll contain several mini games that take advantage of the controller's movement controls - like in the quick draw game shown in the teaser. This is due out at launch on 3 March. The awesome Skyrim has been remastered for the Nintendo Switch. Expect all the usual time-consuming fun only now it can continue on the move as you play using the tablet style console. Xenoblade Chronicles 2 has been confirmed for release. Other than getting to play as a dude with a massive sword little else was given away. Even the release date wasn't hinted at so don't expect this soon. No release date or details were given away for Fire Emblems Warriors so sit tight with this tease. Of course a console that's all about multiplayer is going to get a football game - FIFA 17 to be exact. Play on the move or at home using those Joy-Con controllers. When is another matter as dates were not given.